On Aug. 21, the Olympic Flame for the 2016 Rio Olympic Games was extinguished, signifying the end of what many believed to be a historic and memorable competition. From Michael Phelps sealing his legendary swimming career to Usain Bolt reasserting his historic prowess in Olympic sprinting, one could safely conclude that the 2016 Rio Olympics truly were one to remember. Junior Ryan Gilbert, a swimmer for RBHS, is just one of many who believed the 2016 Rio Olympics were great to watch. Even weeks after the closing ceremony, however, the flame of athletic inspiration the Games ignited is still evident in aspiring athletes like Gilbert. According to a report retrieved from Statista, a total of 57.3 percent of surveyed 11-15 year old youth in the United Kingdom felt motivated to take part in a sport after the 2012 Olympic Games in London, indicating an increased sense of competition and athleticism. One may wonder why such a large number of people would be so inspired from a simple sporting event. A possible factor is the glory associated with Olympic success; after all, the best athletes in the Games receive global recognition, money and fame. For Gilbert, however, watching world-class swimmers such as Phelps execute with elegant precision was the factor which inspired motivation within himself. It led him to begin improving on his own technique in the pool with other technical aspects of swimming. As previously mentioned by Bartholomew, inspirational stories of Olympic preparation can also serve to motivate athletes. 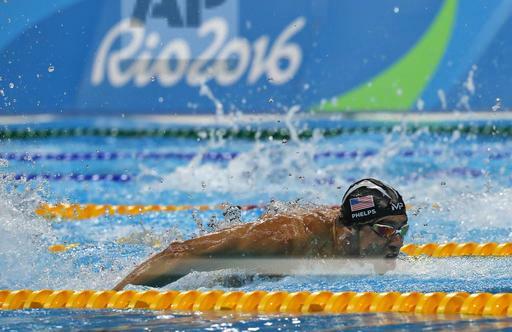 Gilbert, for example, felt particularly motivated by the story of Olympic breaststroke swimmer Cody Miller. Miller was born with pectus excavatum, a disorder which makes his chest appear pushed in. It dramatically reduced his lung capacity and limited his athletic capability since the beginning of his swimming endeavors. Despite this, he still managed to overcome his setback and earned a bronze medal in the men’s 100 meter breaststroke and a gold medal in the men’s 4×100 meter medley relay in the 2016 Olympics. “As someone who’s recently had a surgery that has set me back in the pool, it really resonates with me to hear a story about someone who didn’t let anything hold them back,” Gilbert said. While Gilbert has felt powerful inspiration from watching the Olympics in the past, junior Corby Clowe hasn’t. Though he did end up purchasing a pickleball set during the Olympics and had some fun with it with his family, he doesn’t at all think that the Games can truly motivate him to a great extent. For any individual inspired by the Games, however, whether it is an athlete or non-athlete, Bartholomew presented one final suggestion. Have the Olympics motivated you in the past? Feel free to comment your story below! Are clowns threatening to students?